The 5 Best Hanging Plants for Self-Professed "Black Thumbs"
There are few things that scream spring more than those first shoots of greenery that break through a previously snow-covered landscape. And after this year's unrelenting winter, we're more than ready to enjoy every blade of grass and bright green leaf that comes with the changing of the seasons. Unfortunately winter is lingering, so we're bringing the outdoors in to get our greenery fix while we impatiently wait for spring to cooperate. To find out exactly which plants we should be livening up our space with, we asked Erin Marino, director of brand marketing at the trendy online plant delivery service The Sill, for guidance. As expected, she shed some much-needed light on everything from plant selection to placement. "Keep in mind how easy (or difficult) it will be to reach your hanging planter," Marino wisely advises. "If you're able to hop on a stool and reach the pot easily, you might not mind choosing a plant that requires a weekly watering," she points out. 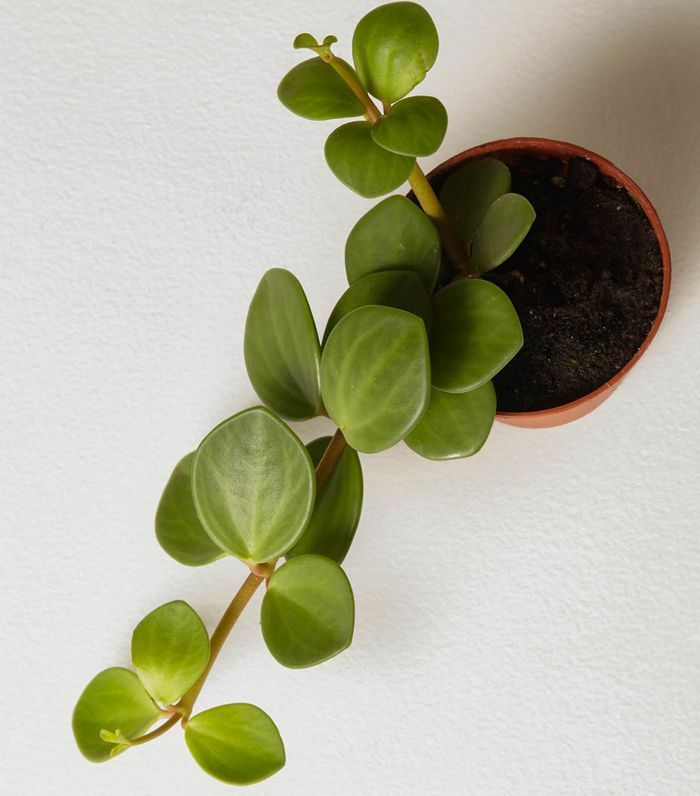 "If it's kind of a hassle to reach, you might want to opt for a plant with succulent qualities that might only need to be watered about once a month." Ahead, Marino shares the five best hanging plants for self-professed "black thumbs," including the number one mistake to avoid when caring for them. As with any plant, you should consider the amount of light, water, and humidity it needs in order to thrive. Additionally, "depending on where you're planning to place your hanging planter, you'll want to pick a plant that thrives in the light that spot receives—whether it's bright, medium, or low light," explains Marino. 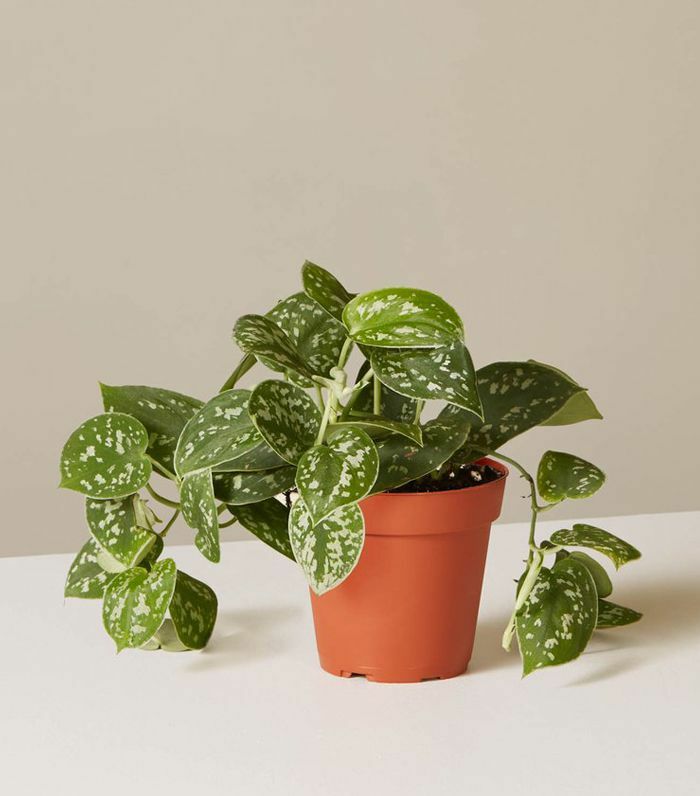 "The majority of houseplants also prefer stable environments, so don't hang them in front of air conditioners, heating units, or open windows that could cause drafts," she adds. 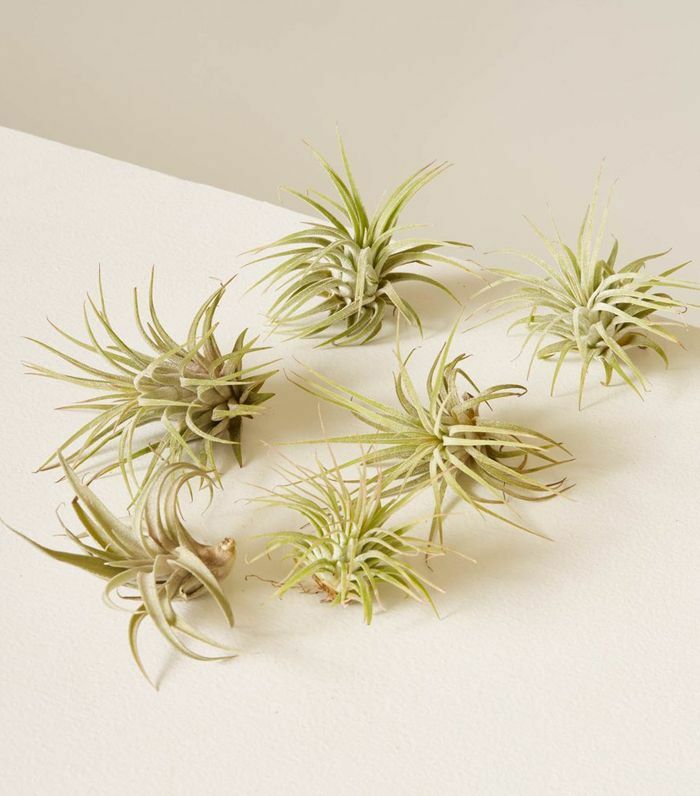 "Air plants are a unique pick for a hanging plant because they do not require potting mix to grow," says Marino. "Hang them by a string or stick them inside a clear globe (just make sure it has a large hole for air to circulate)," she explains. "Air plants require bright, indirect light and weekly water," she adds. "Keep humidity high by misting between waterings." 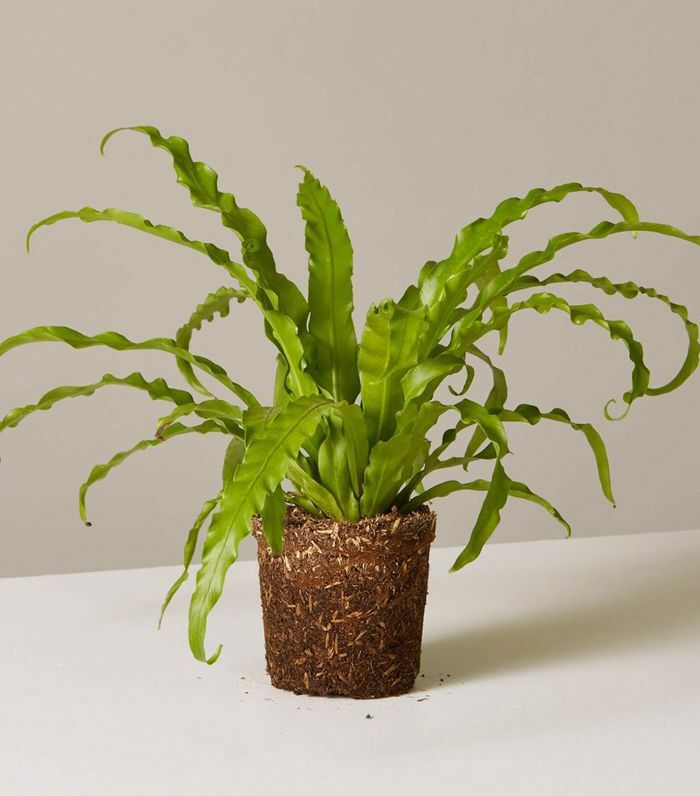 "The bird's nest fern is characterized by ripple-edged fronds that grow out of a nest-like crown," Marino explains. "It does well in low-medium light, watered weekly," she advises. "It prefers a little extra humidity, making it a great pick for a bathroom with a window—think instant spa vibes." "This pet-friendly plant requires medium, indirect light to dappled sun, but can tolerate low light. Its round fleshy leaves help keep in water, so it can go a few more days without water than its parent plants. We like how it looks like it's reaching for the sun." "This trailing plant is characterized by its wiry vines and dark green leaves with silver splotches," says Marino. "In the wild, the leaves can be found sprawled out along the ground and climbing up trees. At home, they can gracefully trail down from a hanging planter," she explains. "They do well in medium light, watered weekly." 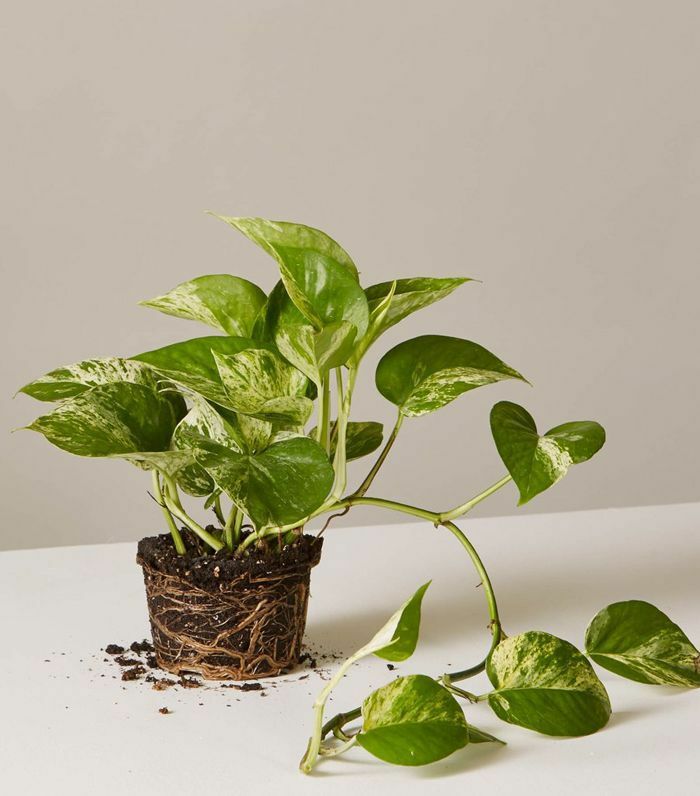 "The marble pothos is characterized by its variegated leaf and hardy climbing vines. They do well in low-medium light, watered weekly," Marino recommends. "It can tolerate lower light levels than most common houseplants," she adds. "This is a great choice for beginners, and it can be easily propagated by stem cuttings." According to Marino, "setting and forgetting" is by far the worst thing you could do to your hanging houseplants. "Hanging planters are awesome—but if you can't reach them easily, you're more likely to end up with an unhappy plant," she says. "Most hanging planters do not have drainage holes, says Marino. "Create your own drainage by lining the bottom of the planter with an inch or so of rocks, like lava rocks, before adding the potting mix and plant," she advises. Up next, these online plant delivery services will transform your space into a "jungalow."